Books by our daughter Deahn Leblang and my brother Jack Flynn. Deahn's historical novel, A Roanoke Story,"takes us as close as we are likely to get to an understaning of the thoughts, feelings, world, and actions of Native American men and women who could not leave any trace in the written record of themselves or of what they thought of the strangers who enered their lands." --James Horn, author of A Kingdon Strnage: The Brief and Tragic hisotry of the Lost Colony of Roanoke. Deahn's second novel, How to Earn Your Keep, takes a hard look at how economic stress can unravel one's morality. Kit Lavoie has lost a college scholarship and is back at home working for a personal injury lawyer. She is also responsible for her childlike mother and her sexually unsure and impulsive brother Larry. When her boss enlists her help to snare a wealthy defendant who could make the firm millions, Kit willingly goes along--until the facts of the case pits Kit's conscience against her need ot make a living. We Came to Fight a War by Jack Flynn, as remembered and told to him by Alvin Kotler. I call Jack's book My Brothers' Book because it was written by my younger brother Jack about my older brother Bill, a B-17 pilot during World War II. Bill died last year, and, at his wake, an elderly man stepped up to the coffin, pinned wings on my brother's lapel, then stood back and saluted. The man was Al Kotler, the radio gunner and last living member of Bill's crew. He began telling stories to Jack, which resulted in this book. According to the author, "young Billy Flynn is determined to find truth and direction in spite of a family that opposes him at every turn and a neighborhood populated by a host of zany, insensitive, un-politically correct characters who aspire to little and value even less. It is an adult story for adults who still have some kid in them and kid story only under the cautionary umbrella of PG-13." Buddy Reardon is a unique kid. For him, "center field" is the center of the known universe, and the Lone Ranger is his spiritual guide and mentor in a confusing pre-sixties world. Negotiating survival with his unwitting family, Buddy maneuvers like a caveman stalking an unpredictable wooly mammoth. When family plans threaten his destined rendezvous with a special Lone Ranger Anniversary Radio Show (in which the Lone Ranger himself is to appear unmasked) Buddy resorts to secretive, unusual, even bizarre tactics. He will allow nothing to stand between him and that show. John Murray Flynn of Raymond New Hampshire passed away at his home on November 25, 2018. Born and raised in Stoneham, Massachusetts, he graduated from Stoneham High School in 1957. As a freshman at Salem State College, inspired by Jack Kerouacs On The Road, Jackie shocked everyone, especially his family, by dropping out of school and hitch-hiking cross country to San Francisco, subsequently earning a B.A. in English Literature from San Francisco State University. Jack later moved to Raymond, New Hampshire, gradually taking smaller parts in local theatre companies and beginning his writing career. He has published three books, two novels based on his childhood and "We Came to Fight a War", a beautiful story of his brother Bill, a B-17 Pilot, as told to him by Bills Radio Gunner Alvin Kotler. c Jack was an avid baseball player in his youth, a dedicated softball player in retirement, at ten years old a devoted buddy to his cousin Barbara confined to a wheelchair after polio, and years later a caring husband to Jeanne and so proud of her talent as an artist. Jack was also a young rebel without a cause; an older hippie with a cause; always a raging liberal; sometimes tough on his family and friends, but always soft and loving with his dog Gabby; not religious, but devoted to St. Anthony, whom he claimed "never, ever disappointed me." A funeral Mass for Jack was held on Wednesday, December 5, 2018 at 10 am at St. Patricks Church, with his cousin Father Paul Duffy as the celebrant. 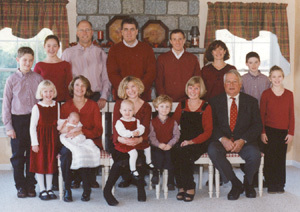 Donations can be made to the Ed Walsh Foundation, a charitable non-profit organization dedicated to helping families in the greater Boston area (edwalsh foundation.org). Ed Walsh, who was married to Jack's cousin Joan, was a Boston firefighter who lost his life in a 2014 nine-alarm fire.